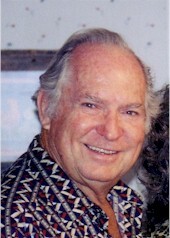 Tom Shirley,1999's winner of the Francis S. Taylor Outdoorsman of the Year Award was chosen because of the same concern for conservation and for protecting the Everglades that Franny Taylor is remembered for. Growing up in the Everglades, Shirley eventually came to work there as an officer of the Florida Game and Fresh Water Fish Commission. His interest in the health and welfare of the Everglades ecosystem has more recently led him to become involved with the Everglades Restudy process. In that effort, and although now retired from the Commission, Tom still carries a steady stream of government agency representatives into the Everglades to show them firsthand the destruction of the uplands and wildlife caused by bad water management practices. Once he became involved in the Restudy, Tom used his own instruments and knowledge of the area to determine that the plan, as it was originally pre­sented by the U.S. Army Corps of Engineers, would drown many of the upland tree island habitats. Tom has worked tirelessly to save the Everglades and make sure everyone is aware of the consequences of an improp­erly constructed Restudy, and he has spent numerous days at his own expense working to educate society about the dangers facing the Everglades. It was for these efforts on behalf of conservation, the Florida Wildlife Federation named Tom Shirley as the winner of the Francis S. Taylor Outdoorsman of the Year award for 1999.